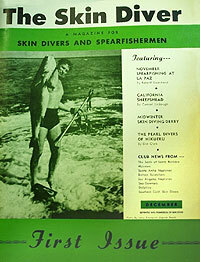 In December 1951 the first issue of Skin Diver Magazine appeared in the USA. The magazine ran until November 2002. As it started the magazine included all kinds of diving but was mostly related to spear fishing.